WASHINGTON, D.C. – (RealEstateRama) — The U.S. Department of Energy (DOE) announced $21 million for new projects to advance solar-thermal desalination technologies. These 14 projects are focused on reducing the cost of solar-thermal desalination and helping the technology to reach new markets, including to areas that are not connected to the electric grid. Desalination treats seawater, brackish water, and contaminated water for use in municipal and industrial water supplies, or to serve other reclamation needs. Today’s desalination operations need to be grid-connected, limiting their applications to areas with electricity access. Solar-thermal power, which concentrates sunlight and converts it into heat, has the potential to expand access to desalination by enabling smaller, more portable systems that don’t have to be grid-connected. Four markets that are particularly attractive for solar desalination technologies include: municipal water production, agriculture, industrial processes, and the purification of water produced from energy development, including oil and gas extraction. Projects that address challenges for small-scale plants that process low-volume, high-salinity water, like brine from oil and gas operations, target an LCOW of $1.50 per cubic meter. Projects that address challenges for large-scale plants that process high-volume, low-salinity water, like sea water for a municipal utility, are expected to target a leveled cost of water (LCOW) of $0.50 per cubic meter. The projects are anticipated to last up to three years and will be awarded as cooperative agreements, which requires between 20 to 50 percent cost share. Cost share requirements ensure maximum return on taxpayer-funded research and development. In total, the projects represent a public-private investment of nearly $30 million. 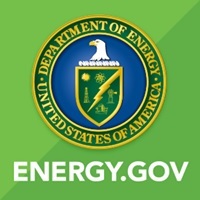 Learn more about the DOE’s Office of Energy Efficiency and Renewable Energy HERE.